Alex Iles has established himself as one of the most in-demand freelance/recording trombonists in the diverse Los Angeles musical community. 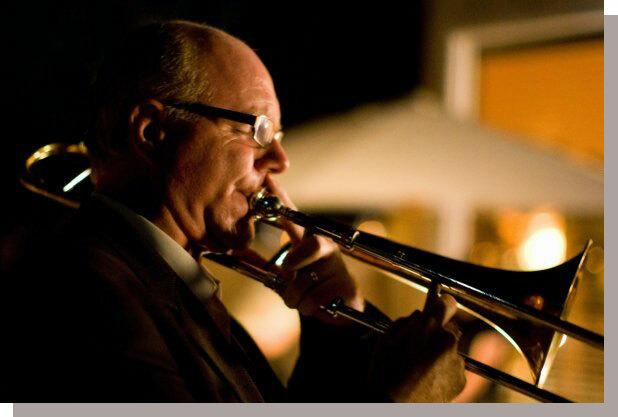 He is principal trombonist of the Long Beach Symphony Orchestra and has performed with the Los Angeles Philharmonic, Hollywood Bowl Orchestra and The Los Angeles Chamber Orchestra. In addition, he has toured as lead and solo jazz trombonist with Maynard Ferguson and the Woody Herman Orchestra and performs in many of the top L.A.-based big bands and jazz groups including Bob Florence’s Limited Edition, The Seth McFarlane Orchestra and Gordon Goodwin’s Big Phat Band. Alex can often be found playing in the pit orchestras of numerous Los Angeles productions of Broadway shows and has performed on hundreds of television and motion picture sound-tracks. He has also appeared on numerous recordings with artists such as Barbra Streisand, Michael Buble, Josh Groban, Paul McCartney, and Prince.